One day as the Old Mermaids were walking back to the Old Mermaid Sanctuary after a visit with the Old Woman and Old Man of the Mountains, soon after the Old Mermaids had washed up on the shores of the New Desert, when they hadn't quite found their land legs and were not certain how to make their way in this New World, a swarm of bees came out of the woods or the desert or down from the sky or up from the earth, and they swirled around the Old Mermaids who stopped and listened. They had never heard anything quite like these bees. 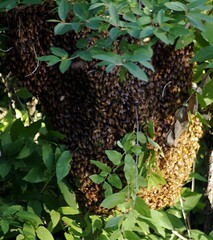 Was it the song of a thousand bees, a chant, a mantra, a hymn? "I've heard it said that you can ask the wild bees what the druid knows," Sister Lyra Musica Mermaid whispered as the bees hummed all around them. 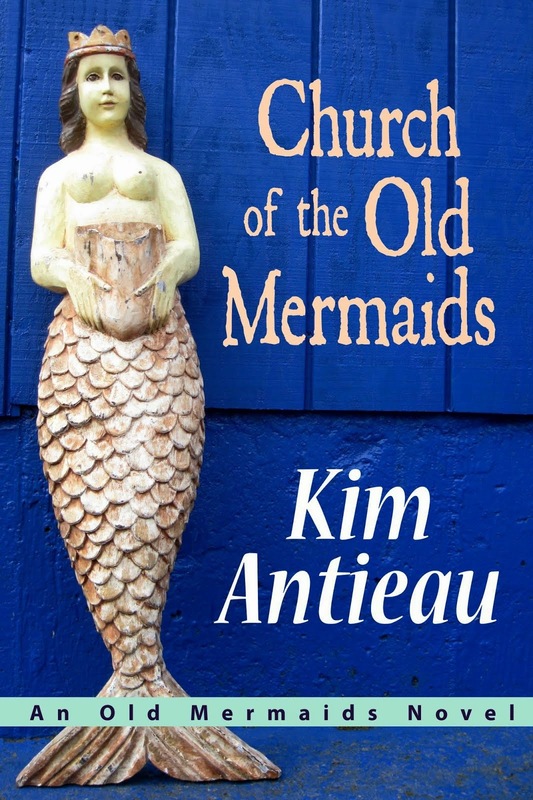 "Then we'll just hear back what we told the druids," Sister Bea Wilder Mermaid said. The Old Mermaids chuckled in time to the beebop. "What do you know, dearest bees?" Sister Ursula Divine Mermaid asked. The Old Mermaids listened as the Old Bees answered. A few moments later, the bees spiraled away from them, becoming a swirl of black and gold against the blue, blue sky. Sister Ruby Rosarita Mermaid saw a drop of gold on her palm. She licked her hand. She tasted her skin and sweat and something so marvelous she didn't quite know what to say. "Oh my," she finally whispered. "The Old Bees left us a gift." The other Old Mermaids likewise found drops of gold on their palms and tasted it. "It tastes like magic," Sister Laughs A Lot Mermaid said. "Music," Sister Bridget Mermaid said, "I feel music." "Look, I see a bit of sky in the gold," Sister Sophia Mermaid said. "Laughter," said DeeDee Lightful Mermaid. "Love," Sister Magdalene Mermaid said. "Mmmm," Sister Faye Mermaid said. "A bit like ecstasy." "Tastes like honey," Mother Star Stupendous Mermaid said, "which is all those things and more." "Honey?" Sister Sheila Na Giggles said. "I thought honey was a myth. I guess I'm a believer now." "The Old Bees always believed in us," Grand Mother Yemaya Mermaid said. "What did you hear them say?" Sister Lyra Musica Mermaid asked. Grand Mother Yemaya Mermaid smiled and put her arm across Sister Lyra Musica Mermaid's shoulders. 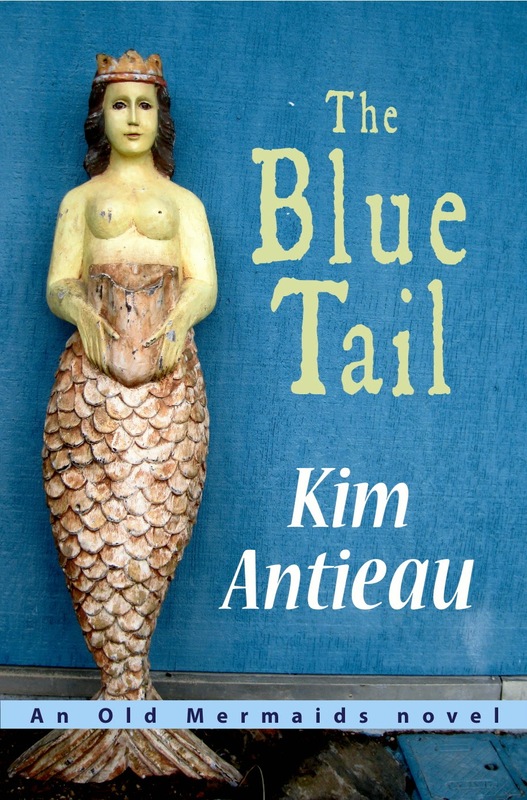 "The same thing you heard, sister," Grand Mother Yemaya Mermaid said. "Beelieve," Sister Lyra Musica Mermaid said. The other Old Mermaids nodded, and after a bit, they continued on their way, back toward the Old Mermaid Sanctuary, softly humming the new song from the Old Bees. May we all, when we need it most, find a drop of honey in our palms.